Wow!! What a contrast to the October Polar Bear outing! Just about a 50-deg f. temperature swing! Just what Polar Bears like! This Saturday was two days after a sleet/ice storm in our area and the ice was everywhere, especially on my favorite antenna support structure, the BearFort Firetower. You can get more information about the Polar Bears at the Yahoo Group: PolarBearsQrp_Ops. It seemed that 20m was pretty hot given the current solar conditions. Worked a number of Polar Bears on the west coast including K6BBQ and KE7LKW, a new Polar Bear in Wash. Hope to work you on our January 2009 outing! Here's the latest video of a recent "Open Den" at my nearby antenna support structure for field QRP activities. Several local "polar bears" joined my on this not-so-winter day for some QRP fun in the sun. Although the temperatures were in the mid-70's during the day, it was a great "first of the 2008-2009 Polar Bear QRP" events and got us all excited about our monthly Saturday QRP events during the winter time. I'm sure it will be colder/snower/windy than we want all too soon! You can get more information about the Polar Bears at the Yahoo Group: PolarBearsQrp_Ops. Hope to work you on one of these outings! 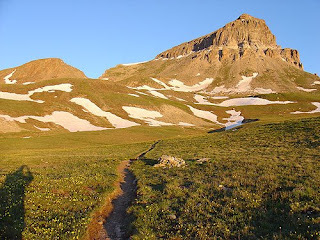 On August 10 2008 N0B (operators Guy/N7UN and Steve/N0TU) along with their faithful Sherpa/goats (Rooster and Peanut) set out to climb Uncompahgre Peak, CO (14,309') from the Nellie Creek Trailhead (11,400'). Meanwhile in CA, Brian/N6IZ was climbing Mt Whitney (14,498' highest peak in lower 48) had 8 miles and 6200' between him and the summit, almost double the effort of N0B! The Ham 14er Event (http://www.14er.org/) provided a perfect venue for our Old Goats QRPexpedition adventure. The video tells the rest of the story. BTW this adventure was so inspiring Guy and Steve are already making plans for next years Ham 14er Event! Meanwhile Rooster and Peanut suggest we stick to lower elevations for our QRP/goat hikes. We Made It!!! A Successful climb of 14,309' Uncompaghre Mtn in Colorado for the Coloradio 14er Event! Wow!! What a trip! We made it to the top of 14,309’ Uncompaghre, spent several hours on HF and VHF making numerous contacts before our descent. In spite of early clouds and 30 mph winds, we braved the harsh mountain top conditions until the sun broke through and warmed our bodies and spirits. The next 2 hours was “fun on HF CW and SSB” as we made contacts around the country. 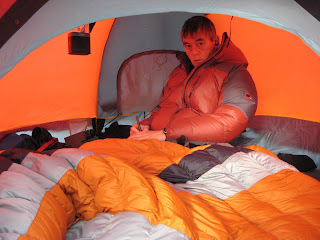 Our most notable contact was with Brian, N6IZ, on 14,497’ Mt. Whitney in California! We had coordinated our mountaintop schedule to align with Brian's in an attempt to be the FIRST to have a Colorado 14er contact with an out-of-Colorado 14er. Brian had a KX1 at 3w and a vertical and we had a K2 at 5w to an inverted Vee dipole on a Jackite 28’ mast. And Steve’s “mountain” pack goats were our invaluable sherpas! More information, writeups, and videos will follow as we craft our stories! 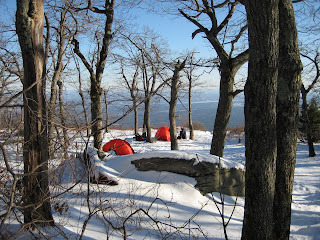 Steve/N0TU has posted a few pictures at http://picasaweb.google.com/n0tu.qrp/14er/photo#5234032384522587906 . 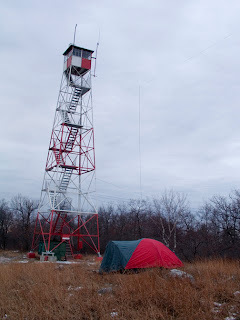 It was a hot, humid and windless day for QRP adventure to a nearby "antenna support structure", BearFort Firetower just south of West Milford NJ. I have been to this site numerous times in the winter but wanted to get some video in order to use Microsoft's Movie Maker 2 software....which is free for Windows XP and Vista users. Nice package with some enhanced features and the price is right! I'm experimenting with packing my K2 since I'll be using it for CW and SSB for the upcoming Coloradio 14er adventure in August. This video also includes some footage of my multi-band dipole that I use for backpacking.